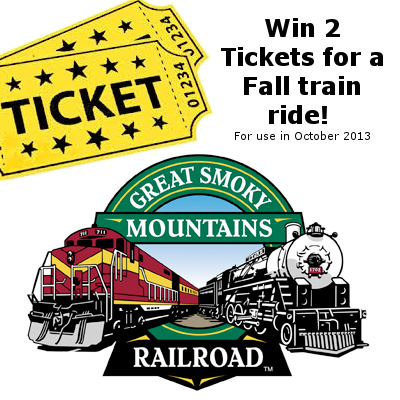 To celebrate the official start of the fall season in the Mountains of North Carolina Yellow Rose Realty is going to be giving away some tickets to take a ride on the Great Smoky Mountains Railroad this fall. The Railroad is a great way to see the colors of fall and relax while taking in all of the awesome views. Read on to find out hoe to enter. 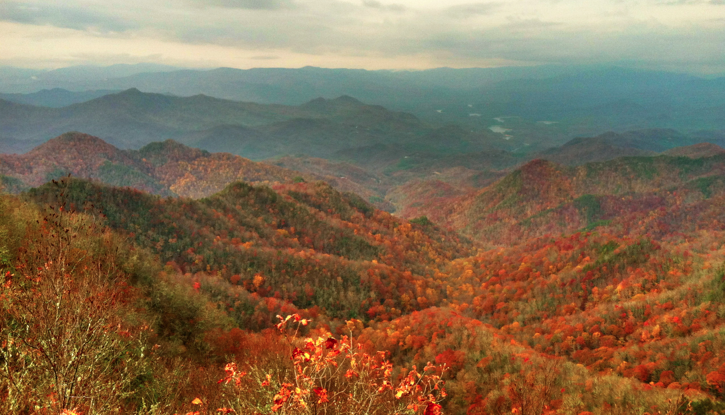 Yellow Rose Realty is giving away two tickets to ride the Great Smoky Mountains this October, a value of over $100. The contest is located on their Facebook wall, all you have to do is find a post containing the picture you see above then like the photo and write a comment on it about why you love fall in the mountains! This contest is super easy to enter, so you should go to Facebook right now and enter. The winner will be chosen on September 30th, but the tickets must be used in October 2013 or they will no longer be good. Make sure to like the Yellow Rose Realty Facebook Page and Share the post with your friends. Good Luck! No More Rumor, US-441 is Open! With an extra $500,000 dangling in front of the construction company working diligently on the road construction project would you expect anything less than a completion date over a month ahead of schedule? Well, if you did, they have proved you wrong; but in the end they have truly surprised and excited the businesses the rely on that section of road to bring in many tourists every year. Just in time for the tourist season to set in and having US-441 back open has changed the grim outlook many businesses had on the upcoming season to smiles and enthusiasm! US-441 is one of our favorite drives in Western North Carolina because there are just so many things that you can do and see along the way! Here is a list of our favorite things to do while driving through the National Park on any given day, however, you may have to make multiple trips to complete the list. – Mingus Mill: This neat old structure provides and easily accessible hike for all visitors and make for a nice little leg stretch and fresh air session. – Picnicking – The US-441 drive is full of great secluded pull-offs that make for a great place to have a family picnic while enjoying the beauty of the park. Don’t feed the bears though! 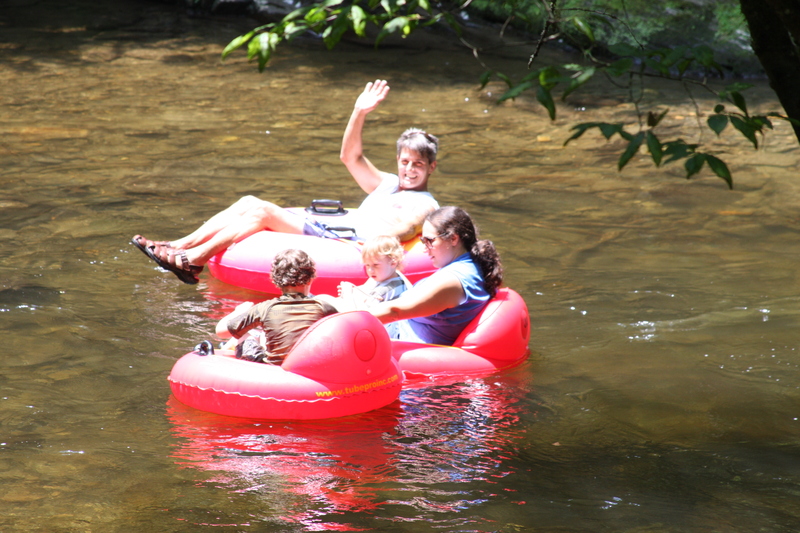 Picnic areas are located at Big Creek, Chimneys, Cades Cove, Collins Creek, Cosby, Deep Creek, Greenbrier, Heintooga, Look Rock, Metcalf Bottoms, and Twin Creeks. – Newfound Gap – Just past/before the Clingmans Dome road turn-off is Newfound Gap, which is where a lot of cars stop to take a break and enjoy the view, have a picnic, or take advantage of the restroom. This is the about the mid-point of the drive and its all downhill from here on out, unless you go on a hike! – Charlies Bunion – This popular day hike is about 8 miles round trip, but is relatively flat and well maintained. If you want to say that you have walked on the Appalachian Trail then this is the hike that you need to do, and the view at the end is pretty awesome. There is also a chance for you to see an Appalachian Trail shelter and drink out of a mountain spring! – Mountian Farm Museum: These historic structures were once part of a functioning Appalachian community that was tucked away in the Great Smokies. Now these structure rest at the entrance to 441 and if you can catch the live demonstrations that go on you will most likely learn something new. – Mount LeConte – This awesome peak is rare in the National Park because it offers the highest lodging and dinning facility to guests in the eastern United States! At 6593ft it is the third highest peak in the National Park but still provides awesome views. 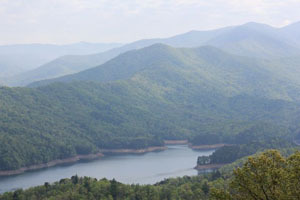 There are four different ways to hike up to Mount LeConte. The most popular along US-441 is going to be the Alum Bluff Cave Trail which will take you straight up the mountain and along cliffsides for about 4.9 miles. This is a great day hike for the family looking for a challenge, you legs will be soar, guaranteed! – Chimney Tops – This hake is another one of those steep incline ones, but again it is worth the work once you get to the top. The unique jagged rock formations at the top make for some creative and careful climbing, but it is a great place to sit, relax, take in the view over a snack or picnic. This is a great day hike, and if you get to hot on the hike then the river at the bottom is a great place to let the kids play and cool off! – Clingmans Dome – This is one of the most popular stops along this section of road. Clingmans Dome takes you to 6643ft in elevation and if you are there on a low smog day then you will be able to see forever! The hike up to the lookout tower is about a mile and a pretty good incline, but is is a paved trail, which make for easier walking. The hike is well worth the reward once you get to the top! – Cades Cove – Now this place is truly breathtaking, however, you do have to venture off of 441 for a bit to reach Cades Cove but it is an awesome spot. This motorway creates a loop that visitors can drive along and view historic buildings and sometimes wildlife. In the peak of tourist season though you can bet on a line of traffic because I am not the first person to write about Cades Cove, it is a very popular spot! Now on the weekends if you get there early enough there are no cars allowed on the road, just bikes, you can bring your own or rent one, but the rentals go fast. There are many more things to be enjoyed and seen along the US-441 section of road, I have merely skimmed the surface and provided you with some ideas to get you going. We hope to see you soon in Western North Carolina and if you are looking for a cabin don’t forget about Yellow Rose Realty and their great options! Western North Carolina experienced two significant landslides in last week’s deluge of rainfall over a three day period. From January 15th thru the 17th, the Bryson City & Cherokee areas got approximately 11 inches of rain. Yep, that’s a flood! Two major landslides occurred, in Great Smoky Mountains National Park on Hwy 441, on the NC side of Newfound Gap, and on the Cherohala Skyway near the TN/NC border. The Cherohala Skyway landslide took out one lane, (it slid down the mountain), and construction crews are building a temporary detour at the site to allow traffic through. Proposed timeframe to reopen that section is by January 28th, 2013. 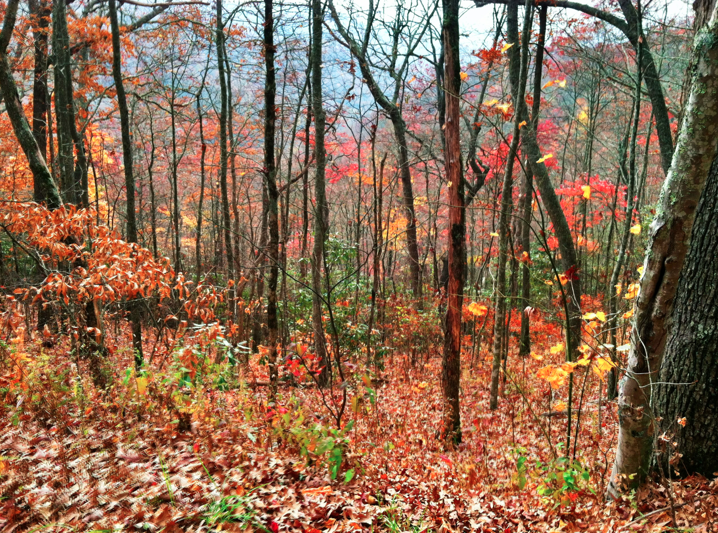 For more about the Cherohala landslide, see the article in the Graham Star. 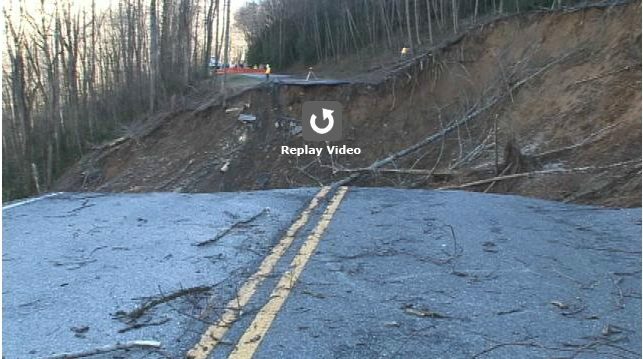 The landslide in Great Smoky Mountains National Park is going to take a lot longer to fix! See a video about the slide here. Hwy 441 into GSMNP has reopened to Newfound Gap on the Tennessee side, and to Smokemont on the North Carolina side. The road is not open all the way through. To travel to Gatlinburg or Cherokee from the opposite sides of 441, take I-40 E/W. Check traffic conditions in the Park before you drive here. Want to talk to a live person? Call Yellow Rose at 828-488-2797 about the roads before you head out, we’d be glad to share what we know.